Welcome to Mohit Bhoite's homepage ! 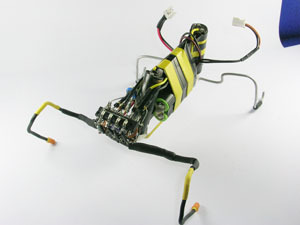 Artbots: These robots were built for Shilpa Gupta, an independent artist based here in Mumbai. The idea was to have a set of robots follow a line pattern on the floor and chant out a pre-recorded message. I recently completed a cycling expedition in Leh-Ladhak through the YHAI camp. But wait, this post is not about the expedition. You can find the Flickr set here. I hadn’t cycled for years and wanted to cycle again. But suddenly heading for a high altitude (11500 feet) 240Km+ long adventure could have proved disastrous. The expedition was a perfect opportunity to invest in a new cycle and reignite the lost passion. So a month prior to the trip, I bought myself a Suncross mountain bike and began practicing. 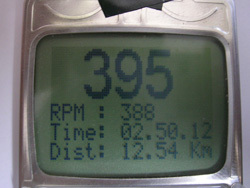 It soon occurred to me that a speedo/odometer could prove very handy. I simply couldn’t resist the temptation of building one myself than to invest in an off-the-shelf solution. But the month kept me busy in other things and the speedo project could never see the light of day. A day at TRI; rare glimpse inside TRI a.k.a. 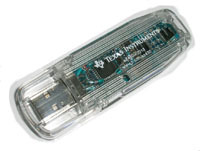 ThinkLabs. Click on the images below to access the Flickr set. New look. I'm hoping to add a few new sections and update the rest in the coming weeks. So stay tuned and thank you for visiting! Theres a new kid on the block this Diwali. He is fast, reliable and kinda cute. I’ve been using the homebuilt Multi-PIC programmer for almost 4 years now. It has served me well through all those years. But recently when I tried to venture into the 16 bit domain, it failed me. 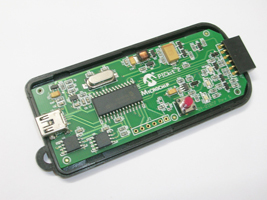 And ofcourse, how can I deny the fact that it is rs232 based and requires some crazy voltages for operation. 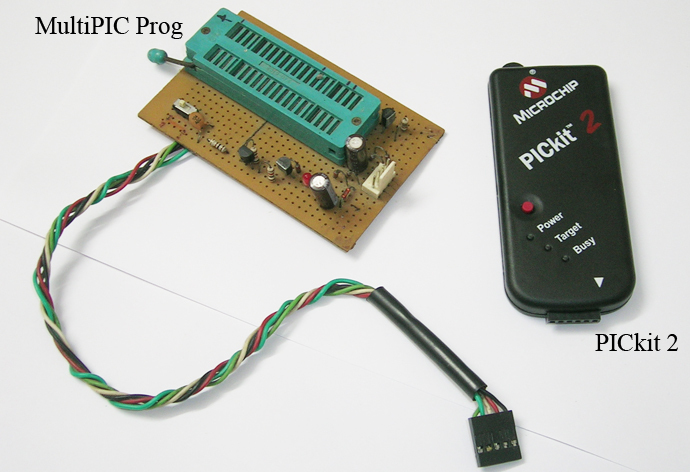 After looking out for some easy diy usb based programmers and reading suggestions on a local forum, I concluded that buying the PICkit 2 would be a sensible choice. The above video dates back to Jan 2006. 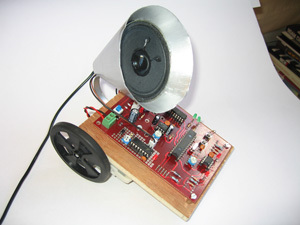 Its one of the very early maze tests for the micromouse. The maze was built out of thermocol sheets. This was taken somewhere in Feb 2006. 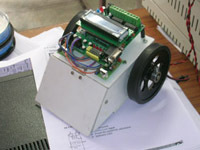 I was preparing Basanti for a local line following robotics competition. Heres a long overdue update on the BEAM bots built earlier this year; "The Photovore Family"
Happy Indian Independence Day !! It was time to say farewell to Basanti, Gulabo and most of the BEAM bots built a few years ago. The harsh coastal air of Mumbai had turned most of these naked pieces of machinery into oxidized junk. I had been hoarding them for obvious sentimental values but I let it all go today. I also threw away a lot of electronic circuit boards taken out from old telephones, fax machines, computers and radios. I was planning to scavenge some components out of them but soon realized that it just wasn’t worth the effort. The idea of getting rid of this toxic e-waste seemed more logical. And as a bonus, it created some more breathing space in my bedroom. But I do plan to fill it up with some new ‘naked pieces of machinery’ soon. Did I just hear myself choke? On the other hand, I finally took the badly needed break from my office. The monsoons are here and the timing couldn’t have been any better. I need to get a few important things figured out in the meantime and take my GRE. My rebellion attitude during the college years has come to haunt me now. I never really gave priority to scoring high in exams; passing was just about enough for me. 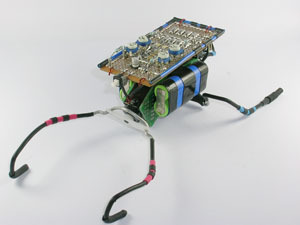 I devoted most of the time to my hobby of building robots. The college provided me with ample of time to pursue this fantasy. My acads took a real beating during this time. Why would I want to score high? To stand first in the class? Na…To get a good job? Na…I was never concerned about getting a job. To better my prospects of getting into a good graduate school? Bull’s-eye! And that’s when I realized I had screwed up. I did manage to score good in my final semester but probably that was a bit too late. I don’t regret any of this at all. But what I do regret is the fact that during this period I also managed to learn 'the fine art of procrastination'. And this has come to haunt me now. Studying has never been so difficult. After watching the rerun of the Rocky series recently, I’m determined to stay focused; eye of the tiger. Now only if that was as easy as watching the movie. What happens when you are putting in 15hrs at work, building dozens of robots, conducting workshops and doing backbreaking commuting? Well, you are left with an unupdated homepage! So here's a belated happy new year ! 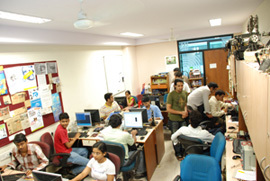 Yesterday, IIT Bombay's 10th Techfest was concluded. TRI had setup a booth at the R&D exhibition and was really well received. A part of my assignment was to design and build a dozen of BEAM robots for the display. Even though I had only a few weeks in hand, I'm quite satisfied with the end result. Pics of all the robots will be put up soon. Happy Deepavali to all of you !! An update after two whole months, phew ! Most of my time and energy now goes into updating and maintaining the Resources section at TRI's website. I'll be putting up some interesting articles in the coming months over there. Meanwhile its vacation time !! TRI recently conducted an autonomous level robotics workshop, aka iTRIx, at Anand, Gujrat. Venue was kindly provided by GCET. We all had an amazing time there. The photos have been uploaded on Flickr, click here to visit the album. 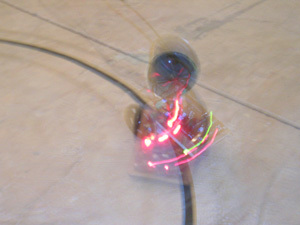 The workshop covered all the basics of autonomous robotics while using SUMO robots as the central theme. Visit here to know more about this workshop. Oh, and by the way, I officially joined TRI Technologies recently. Its a great team to work with. Imagine somebody paying you to build robots! How cool is that? While the rains flood, blasts rock and tension mounts here in Mumbai, I’m fortunate enough to wake up to a new day, alive and in one piece. It has been a long time since I last built any robots. A recent assignment at TRI Technologies made it possible for me to get back to my first love, BEAM. Nathulal and Bhola crawled and wiggled their way into the new world a few weeks ago. Nathulal is a walker while Bhola is a phototrophic head. Both are based on the bicore principle. 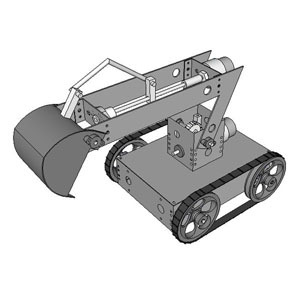 Click here to have a look at my latest beam bots. 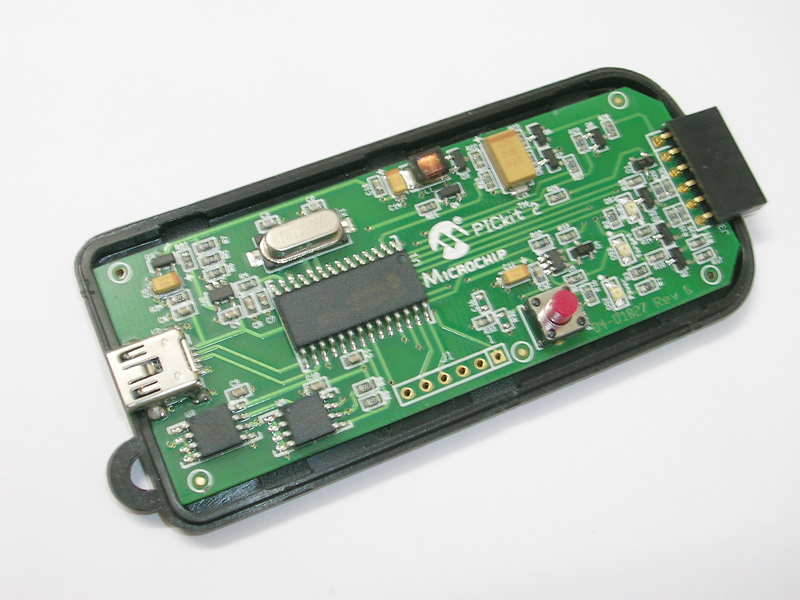 India’s first Micromouse workshop, aka MouseTRIx, began yesterday at the IIT Mumbai campus. It’s a week long workshop and I was lucky enough to get an opportunity to attend it. It was organised by a cool new startup TRI. 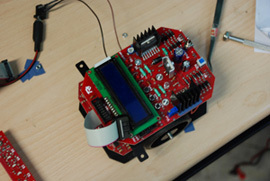 The day two began with the final assembly of the chassis and mounting of the controller board. The kit is as professional as it could get. Laser-cut chassis, machined wheels, super-cool Atmega16 controller board and a lecture delivered by Ashish Bhat himself. It couldn’t get any better than this. Although the web-address kept changing from time to time, this site always existed as a mirror. But since the past few months, it’s my only official homepage. A special thanks to Dave for not pulling this site down. All these years have been wonderful. Thank you to all of you who visited this site in the past. I’m sure you will keep visiting in the future as well. 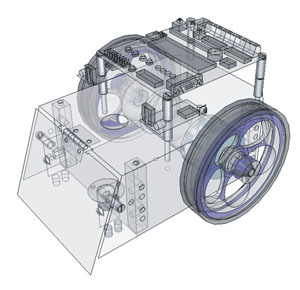 I had always thought of using a CAD tool for sketching robot designs. I tried using a variety of tools like Autocad, 3Dmax, etc. but none of them were easy to use and took an awful lot of patience. So I resorted back to sketching by hands, until now. A couple of days back, I stumbled across a beautiful software, SketchUp, from Google. I simply haven’t stopped CADing since then! It’s like building all those dream robots in a matter of minutes (or hours). All of my fantasy designs can now come true, virtually that is. Oh boy, am I having fun or what! Added a guestbook to this site. I am new to PHP scripting, so had to borrow it from PHP JunkYard, written by Klemen Strin. It will be fully functional by the time I post this update. Please feel free to post your comments or suggestions. Follow the link at top right corner or simply click here. I designed a PCB for a robotics workshop held in our college recently. 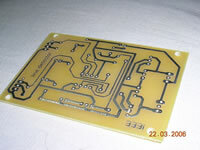 We needed 20 PCBs in all, so we decided to get them fabricated at a local pcb fabricator in the suburbs. I jumped on the opportunity to capture the whole pcb fabrication process on camera. Happy HOLI to all of you! Uploaded the links page. 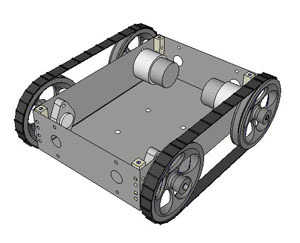 I recently built an advanced line following robot, "Basanti", for a local robotics competion. I named it after being inspired from the lovely movie "Rang de Basanti". Basanti was working just fine on the day of the practice but on the day of the finals, her behaviour turned erratic. I simply could'nt find out the reason. Maybe she got scared of the judges or something. But she ended up getting a consolation prize. Enough to cover my travelling expences and buy me a ticket to the movie "Rang de Basanti" ;-) You can have a look at Basanti over here. I have finally managed to update this website after a really long spell. Some of the pages are yet to be put up but I'll do that asap. A lot of new pages are on the way.